When a deadly virus begins to sweep through sixteen-year-old Kaelyn’s community, the government quarantines her island—no one can leave, and no one can come back. Those still healthy must fight for dwindling supplies, or lose all chance of survival. As everything familiar comes crashing down, Kaelyn joins forces with a former rival and discovers a new love in the midst of heartbreak. When the virus starts to rob her of friends and family, she clings to the belief that there must be a way to save the people she holds dearest. Because how will she go on if there isn't? First off lets get the technicalities out of the way. I bought this book with my own money. All opinions are my own and I was not compensated in any way for them. Kaelyn the main protagonist of the story lives on an island somewhere off mainland Canada. Having lived in Toronto as an outsider for many years Kaelyn tends to keep herself guarded from those around her. I wouldn't call her anti-social just cautious and set in her ways. The Way We Fall is written from a Journalistic viewpoint. Most of her entries are written to Leo a boy/best friend/former crush she watches leave at the beginning of the book. Throughout the book we learn she has had a previous falling out with him and possibly due to that overwhelming guilt this is why she has chosen to focus on him in her writing. It starts with an Itch and a cough. The disease is an unknown Flu type strain. What happens when you can't leave but staying may result in your death? 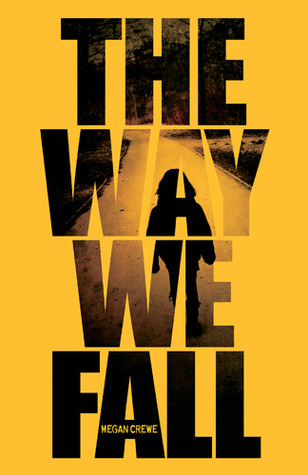 This is the premise of The Way We Fall. The Book is divided into three parts-Symptoms,Quarantine,Morality. Symptoms covers the initial outbreak of the virus. That tickle in your throat, that scratch that won't go away. Guess what that means (at least in Megan Crewe's world) that your infected. Kaelyn has just started allowing herself to relax in her new surroundings when the whispers start to spread that something nasty is going around. Suddenly not only are people sick but they are worried. What if this isn't just some cold. What if it is much worse? 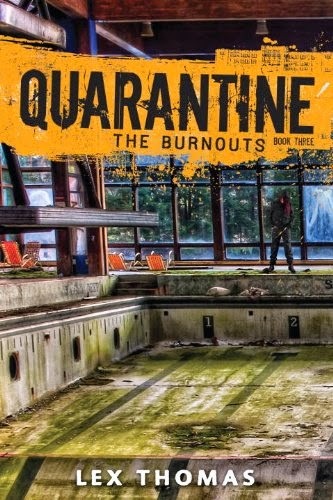 Quarantine covers what happens after the bodies start to drop. The Army moves in promising protection and safety but when fear and paranoia starts to take hold they fall back leaving the island alone and cut off. With infection spreading, panic setting in and supplies running low all Kaelyn and her family can do is wait but at what cost? Morality covers what happens when you have nothing left to lose. Society as it once was has crumbled. With the majority of the population dead or dying and bands of looters roaming around with no lawmen to stop them. How do you hold onto hope that things can still get better. I absolutely loved this book! I've always found Epidemics intriguing, there is something so terrifying about a virus or infection that can with a cough or a sneeze exterminate a large group of people.The Book is the first in a trilogy so the ending does cut off quite abruptly. This is a dark dystopian. Very little feel good moments in this book. You really do feel Kaelyns isolation and loneliness. We barely see the mainlands perspective except for a few brief conversations that occur through secondary characters and their loved ones. I feel this creatively adds to the Quarantine feeling. I did have two small issues with the book. First Kaelyns father, He saw the danger firsthand and yet did nothing to prepare supplies for his family. If that was my family, at the first drop of serious sickness I would of bought stuff so that they at least were provided for. Yes, there is no guarantee that the stock pile would be safe from looters but they at least wouldn't have to scavenge for quite some time. My second issue is just isolating loved ones in a bedroom. Heck no you wouldn't be sick and staying in the house. It might be cruel but outside is where you'd be staying even if it meant tethering you to a tree or locking you in a shed so you couldn't wander off infecting others. These are personal gripes not those directly aimed at the Author.